Juan Ramirez, age 85, of Holland, passed away Wednesday, December 27, 2017. He was born in Alice, Texas, on March 27, 1932. 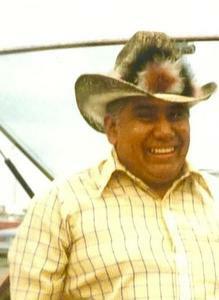 He is survived by his loving wife of 40 years, Guadalupe Ramirez, sons & daughters; Norma Perales, Juan Ramirez Jr., Robert (Cecelia) Ramirez, Jose & Thomas Ramirez, Lupe (Debbie) Ramirez, Kevin (Peggy) Newell; seven grandchildren; nine great-grandchildren; brothers & sisters; Louis Ramirez, Jesusa R. Ramos, Silvestra Ramirez, Inocencia Mares. Visitation will be 12:00 to 3:00p.m. and 6:00 to 9:00p.m. Tuesday, January 2, at the Dykstra Funeral Home - Downtown Chapel, 29 East 9th Street, Holland. A funeral ceremony will be held 1:00p.m., Wednesday, January 3, in the chapel at Restlawn Memorial Gardens, 994 Paw Paw Dr, Holland. Father Kyle Kilpatrick will celebrate the mass. Interment will be at Restlawn Memorial Gardens, Holland, Michigan. Professional services provided by the Dykstra Funeral Home - Downtown Chapel.